Home / غير مصنف / What is a vote of no confidence? Is a vote of no confidence in Theresa May INEVITABLE? What is a vote of no confidence? Is a vote of no confidence in Theresa May INEVITABLE? Jeremy Corbyn has been urged to lead a vote of no confidence from across the political spectrum. 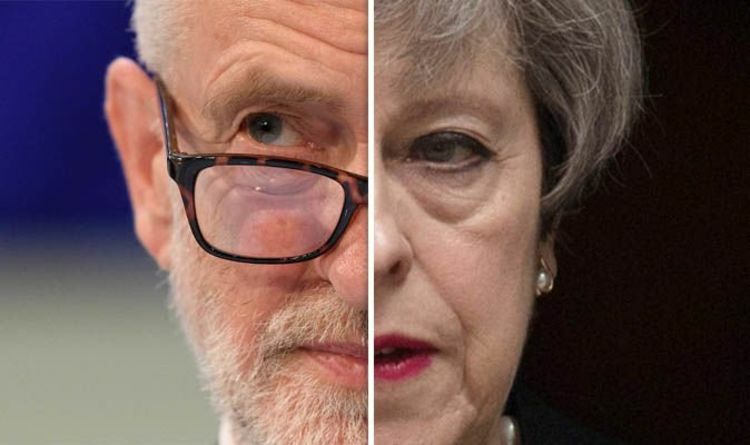 Liberal Democrat leader Sir Vince Cable, Green MP Caroline Lucas, the SNP's Westminster leader Ian Blackford and Plaid Cymru Westminster Group leader Liz Saville Roberts have all written to Mr Corbyn. MPs are arguing that there is now an "overwhelming" case for a confidence motion following Mrs May's decision to defer the Commons vote on her Brexit deal. A confidence motion may take the form of either a vote of confidence, usually put forward by the government, or a vote of no confidence, usually proposed by the opposition (which is what Mr Corbyn is being urged to do now). If a motion of no confidence is agreed to, the House of Commons must vote on the government within 14 days. If this vote of no confidence passes - so, the majority of the House cannot support the government - Parliament is dissolved and a general election will be held. It’s important to note that this is different to a vote of no-confidence in the Prime Minister, which requires the 48 letters everyone is talking about. Those letters are from members of the Prime Minister’s party itself - so, it’s the Tory party formally stating they have lost confidence in their leadership, and would lead to an internal leadership election. Is a vote of no-confidence inevitable for May? Either an opposition or an internal vote of no-confidence seem likely. But Theresa May has already proven that she will fight to remain in her post, and has survived some tenuous moments over the past two years. Mr Corbyn has repeatedly made clear that he wants an early general election to allow Labour a chance to take over the Brexit negotiation process. Basically, it is expected that the motion would not pass if it was called now, and Mr Corbyn wants to wait for the best shot at getting Labour in power. Mr Corbyn told the House on Tuesday: “We have no confidence in this government. It is expected Mr Corbyn sees the “right time” as potentially when the Prime Minister returns from her current last-ditch trip in Europe to salvage her deal. But it’s not certain whether the motion would be successful at any point. John Mills, chairman of Labour Brexit group Labour Leave, told Express.co.uk: “I think that it’s very unlikely to be successful.